The Vestas: Live at the Library: a series of recorded interviews with contemporary Cork musicians, as part of the Rory Gallagher Music Library 40th celebration. Jake Kalilec, Leo Mullane and Fintan Mulvihill are three fine singer-songwriters from Cork, who came together whilst studying music in college. They write and perform some of the finest new music on the Irish scene – heavily influenced by soul, blues, pop and jazz styles, reflecting the different influences each of them brings to the group. This gives their music a refreshing and uplifting feel, with appeal to a wide audience. Their catchy melodies and vocal harmonies range in theme from the heartache of lost love to life on the dole. They have supported Damien Dempsey, Declan O’Rourke, Hermitage Green and many more. Their new EP “In my Head” features soulful original songs that combine moving lyrics with equally moving melodies. As 2016 draws to a close, we say goodbye to yet another iconic figure in the world of popular music. Leonard Cohen joins a star-studded list of fallen legends, including Leon Russell, George Martin, Glen Frey and Prince. Leonard Cohen was widely known to be an elusive interview candidate but there are some great conversations with him to be found online. The interview took place in cavernous Studio 42 in the Canadian Broadcasting Centre in Toronto, on a Saturday morning in February 2006, the day before five of Cohen’s songs were inducted into the Canadian Songwriters Hall of Fame. There were two chairs in a corner of the studio, one for me and one for Leonard Cohen. It was stark, dark, and intimate. Leonard Cohen rarely gives interviews. I got lucky. The piece makes for a very interesting read and it can be found in the November 2016 issue of Brick magazine. Click the link below and enjoy! On the 27th August 2015 Johnny Campbell was good enough to agree to a ‘Question & Answer’ session in the City Library, Grand Parade, Cork. We managed to capture about half an hour of the event on camera, where Johnny talks about meeting Rory, growing up as a musician in Cork, and travelling with Rory to Hamburg, Germany, as part of a stripped down version of the Impact Showband. Here’s the video that was captured on the night. Hope you enjoy it! Less us know what you think in the comments below! Colorado to Cairo. Martin Gilmore’s World is a Song! Earlier this month the Martin Gilmore Trio played a hugely successful Irish tour and despite their busy schedule they managed to squeeze in a morning show in the Rory Gallagher Music Library! If that doesn’t show dedication to your art I don’t know what does! Band leader, Martin Gilmore also kindly took some time out from his hectic schedule for the following interview. We hope you enjoy it and if you have any comments we would love to read them! You guys just finished a fairly intensive tour of Ireland. So, how did it go? The tour was inspiring, educational, tiring and fantastic. We saw a big chunk of the west of Ireland and logged quite a few hours on the left side of the road. Our concerts were successful and we made a lot of new friends. Audiences in Ireland are so wonderful. The average Irish person has such a depth of knowledge about music and you can feel that on stage. People know where the song comes from, they know its lineage and they aren’t afraid to sing along if they know it. You don’t get that in the United States as much. You’re no stranger to Irish music. Did you get a chance to catch a show or session while you were on tour? One of my favorite places to visit while I’m here is Ring, near Dungarven in County Waterford. I have played at the Tig An Cheoil in Ring twice now and Seán Mac Craith is a fantastic sean-nós singer. The crowd is always wonderful there, but I can’t help but be excited for the show to end so I can hear Seán sing. Joe Powers is also a fount of knowledge and songs. He always teaches me Irish words and songs. John Nyhan is also a fantastic resource for songs and music. He sang songs to us just about everywhere we went and he played a few jigs on the banjo while we were in Clonakilty. There was some sort of impromptu session every night while we were there so we got some good exposure to lots of great traditional music. We didn’t get to see any concerts though. We were busy every night while we were there. Even if we had seen something, it’s never enough. We all love Irish music. 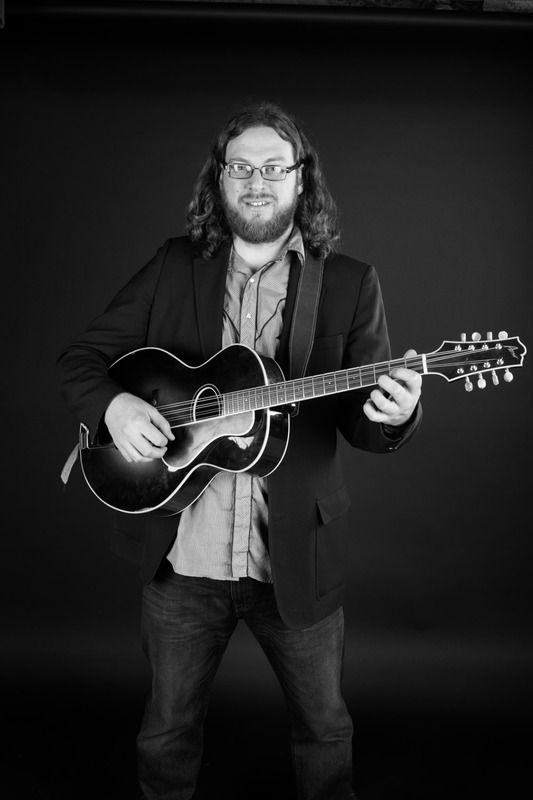 When the Martin Gilmore Trio play there is a solid country base to the music yet influences from Jazz, blues and various forms of folk music are evident throughout. Is this deliberate or just the result of years of exposure to so many musical styles? What a good question. I have a friend who talks about being in different bands to satisfy his different musical personalities. Ian, Nick and I all play in different bands and know a lot of different types of music. The nice thing about this trio is that I can find a song that I like and the guys can tackle it for the most part. We aren’t specific about the genre of music we play, we just find a song that we think is good and we see how it works with the three of us. I can write something and these guys will bring their own flavor to it. If we were just playing one thing I think we would get bored so it’s refreshing to have the variety on the set list and it makes me excited for each song as we go through the show. I think that’s a good representation for American music in general. The Appalachians were a “melting pot” of musical styles that created bluegrass and country music. You can hear Blues and Spirituals in Bluegrass just as much as Irish fiddle tunes and English ballads. People from all over the world came together there and their influences on one another created something completely new. It’s the same with jazz and Dixieland music down in New Orleans as well as with Mariachi and Conjunto music in Texas. I suppose we fit into that same mold. We have a common thread of American “Roots music” but we mix and match what we play and it sort of morphs into something new. With the recent passing of BB King and other musical legends who defined blues, country, rock & roll and folk music in the 20th century there seems to be a certain sense of melancholy creeping into the musical mind frame. Phrases like ‘the death of the Blues’ have been cropping up in some commentaries. As an artist how does this make you feel? We are really living in an interesting time in music. I think there is a lot of cynicism about commercial music and the model that the major record companies have followed for years is really changing. There used to be a really defined path to success in music and if you were good enough, lucky enough and worked hard enough you could follow that path to some sort of success. That’s not really the case anymore. Some people thing that is a bad thing, but I’m not so sure that it is. There isn’t as much “big money” in music as there used to be and record companies don’t take as many risks these days. However, it is so easy to write a song, record it and put it up for sale on the internet that the large record companies role isn’t as necessary as it used to be. I don’t think any genre of music is “dying” but it’s not presented to the public on a silver platter like it used to be. If you are willing to put in the time looking for something you can really find people making the honest thing. You can find people playing the blues for the sake of playing the blues. Denver, Colorado, has dozens of awesome honky-tonk and swing bands and it is just one city. Record companies were a stamp of approval about the quality of something. If it was on a record label it was probably going to sound good and be well presented. That still exists, but each person has to find their taste. It makes me excited to hear all the new music that is available. There’s an endless pool of interesting, virtuosic, creative and inspiring music out there. It’s easy for me to spend a few hours on YouTube exploring new sounds. My friends are always telling me about new things. I constantly find things that make me excited about music and that is really an advantage that comes with the new technology. I know musicians are struggling, I’m right there with them, but the commerce side of music will sort all of those challenges out. Meanwhile we get to enjoy the largest variety of music ever available to humanity — and you can access it from the phone in your pocket. Your band mate Nick Amodeo makes that Squier Telecaster sound like a million dollars! Did he have it modded in any way or is it as stock? Funny you should ask. We actually borrowed that guitar from John Nyhan’s son Gearoid. Gearoid lives in Cork and he was nice enough to let us travel around with it. Nick is a monster player. He can play anything with strings and make it sound amazing. He and I have talked about electric guitars and what makes each guitar player sound unique. We have pretty much settled on the fact that it’s the fingers of the player more than the gear itself. Carlos Santana will sound like Carlos Santana on any guitar he picks up. I could get all the same gear as Rory Gallagher and I will never get his sound. Nick can make any guitar sound fantastic but he always sounds like Nick. He has a boutique Telecaster and amplifier back in the states but this tour really showed me that it’s more in his touch than in his gear. It’s inspiring and makes me realize that I should practise more. I imagine the Rory Gallagher Music Library in Cork must’ve been an unusual venue for you but what’s the strangest venue you’ve ever played? Wow, what a question. Honestly, I have played a lot of shows and concerts in libraries so it didn’t feel too out of place. As a working musician you get to see a lot of wild and crazy things. Nick and I have played gigs in the main terminal of the Denver International Airport. That can be a strange place to play. I have played concerts in people’s living rooms; that can be wonderful, but it can also be a bit strange. The trio once played a saloon in western Nebraska where everyone sat in the front room while we played in the back room. We stopped because we thought no one was listening and the bartender told us that everyone really liked us. That was a pretty strange experience. I think, more than the place, I pay attention to the audience. I’ll play for anyone who is listening, but if no one is paying attention it really changes the feeling for the performer. There’s not a lot of money in bluegrass music. We play it because we love it and we want to share the love of the music with other people. If people aren’t listening I find myself trying to figure out how to get them to love the songs as much as I do. That struggle is what sets the tone of the gig for me. The crowd at the Rory Gallagher Music Library is always so wonderful. I’ll play there any time. What’s next for Martin Gilmore and when will we see you and the band in Cork again? 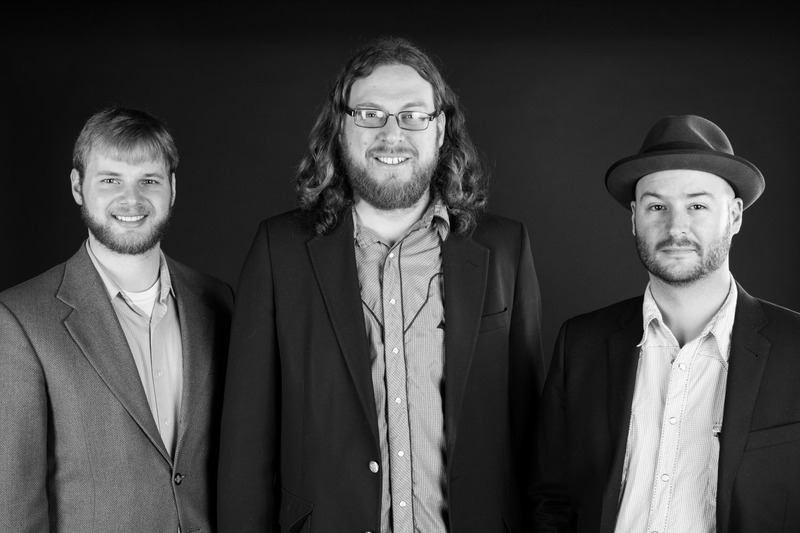 There’s a lot of stuff happening this summer for the Martin Gilmore Trio. We are playing a couple of festivals around the Rocky Mountain Region and we will probably go into the studio to lay down a few tracks for a record. However, I will be moving to Cairo, Egypt, in August of 2015. My wife accepted a job teaching music in an international school and I am going to tag along and write songs. That means the MG3 will probably take a break for a few months and we might not release a record until after I return from Cairo. It also means that I am closer to Ireland and could return more often. Maybe the MG3 could reunite for a couple of tours through Ireland and the rest of Europe. Ian and Nick have several other projects that keep them busy and there will be no shortage of gigs for musicians like them. I am looking forward to the creative time and people can expect a lot of new original material from the MG3 when we return to Cork — which cannot be soon enough. If there’s one thing that shines through from this interview with Martin Gilmore it’s that he has a genuine passion for music, places, and people. We look forward to seeing the MG3 on our shores again very soon and, more importantly, on the banks of the Lee! Posted on May 28, 2015 January 14, 2016 Categories Artist InterviewsTags bluegrass music, Country Music, Martin Gilmore, music cork city, Rory Gallagher Music Library, The Martin Gilmore Trio1 Comment on Colorado to Cairo. Martin Gilmore’s World is a Song!